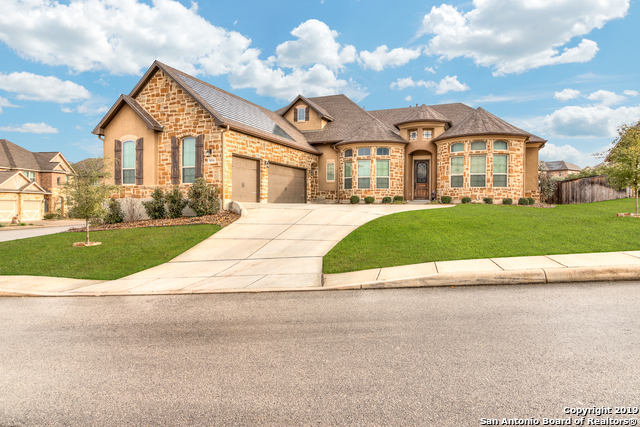 All RESERVE AT OLD FREDERICKS homes currently listed for sale in Boerne as of 04/26/2019 are shown below. You can change the search criteria at any time by pressing the 'Change Search' button below. "As soon as you walk thru the front door, you will see the beautiful upgrades & wonderful floor plan of this gorgeous home. 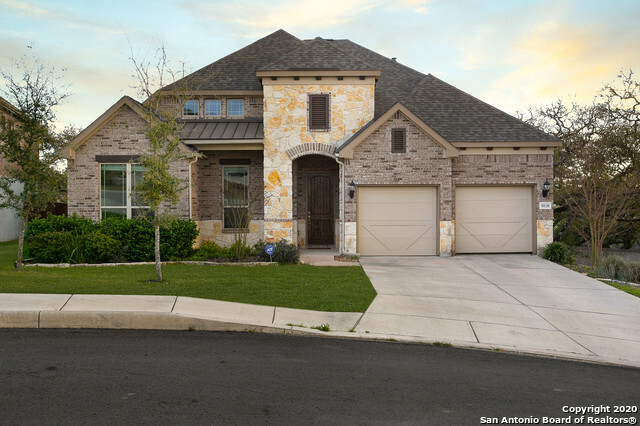 This home has many features accessed w/ your phone, w/ every detail for comfort & security. 16 ft ceilings w/beams in the kitchen & family room. chef's kitchen w/gas cooking & custom cabinets. Remote controlled shades in family room. All bedrooms downstairs. Large game room & an amazing media room w/ 92 theater screen are upstairs. Outdoor kitchen . Assumable VA 3.5"
"Stunning Imagine Custom Home merges highly energy efficiency with Luxury Living! 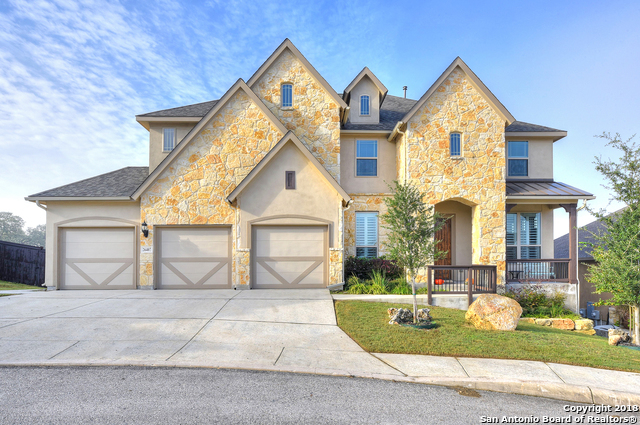 Hill Country exterior highlights the modern interiors of open floor plan, soaring ceilings and fabulous light. Private study off the foyer. Gourmet kitchen with center island and gas cooktop flows into the living area with stone floor-to-ceiling fireplace. Luxurious master suite is downstairs with open loft/game area up and three additional spacious bedrooms. Large covered back patio in a fenced backyard. HOA pool." "Gorgeous energy efficient home located on a corner lot in a gated community close to I-10. 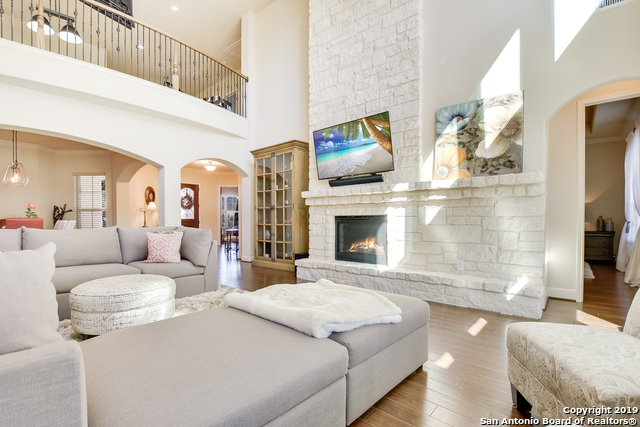 Beautiful upgrades to include stone accent walls, oak wood floors, wood beams in lvg area. Gourmet chef's kitchen complete with pot filler, gas stove, custom cabinetry w/soft close drawers, double ovens. Huge walk-in pantry. Master split, all bdms down. Gameroom and media rm up w/extra closet space. Covered patio outside w/outdoor kitchen, built-in grill. Outside fridge remain. Storage shed in back stays"
"NEW ENERGY EFFICIENT IMAGINE BUILT HOME ON CUL-DE-SAC IN GATED COMMUNITY. THREE BEDROOMS DOWNSTAIRS WITH TWO LARGE BEDROOMS AND GAMEROOM UPSTAIRS. HOME INCLUDES COVERED PATIO, WINDOW FURNISHINGS, GARAGE DOOR OPENERS AND LAWN IRRIGATION SYSTEM. LOCATED IN BOERNE SCHOOL DISTRICT." "Beautiful home on a cul-de-sac, greenbelt lot within the gated community of the Reserve at Old Fredericksburg. Open Floor Plan perfect for Family entertaining, High Ceilings, Formal Dining Room, Study/Office, Fantastic Kitchen with Chef's Island, Granite Counters, SS Appliances, Gas Cooking and Butlers Pantry. Retreat to the Master Bedroom located downstairs with spa-like Master Bath. Large Game Room Upstairs with three additional Bedrooms. Enjoy the views on the extended covered patio. Room for"
"Quaint one-story, 3 bed/2.5 baths/2 car attached garage, 2500 in the Reserve at Old Fredericksburg. This stunning home boasts high ceilings & 8' interior doors throughout. The gourmet kitchen has granite countertops, stone backsplash & stainless steel appliances, & opens to the living room with cozy fireplace & stunning views! The master suite has an oversized walk-in closet, dual vanities, garden tub & a walk-in shower. Enjoy the nice outdoor patio with friends & family. Northside ISD. WELCOME"